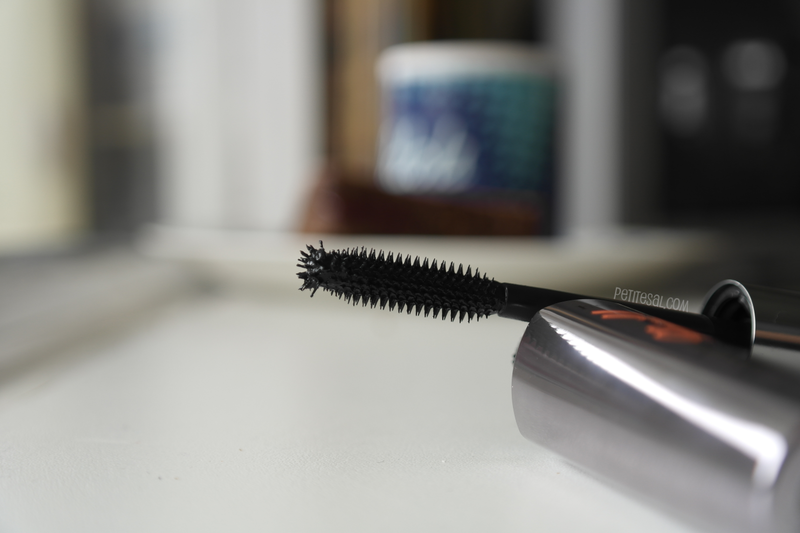 ANYWHOOOO, check out MY review of this mascara! 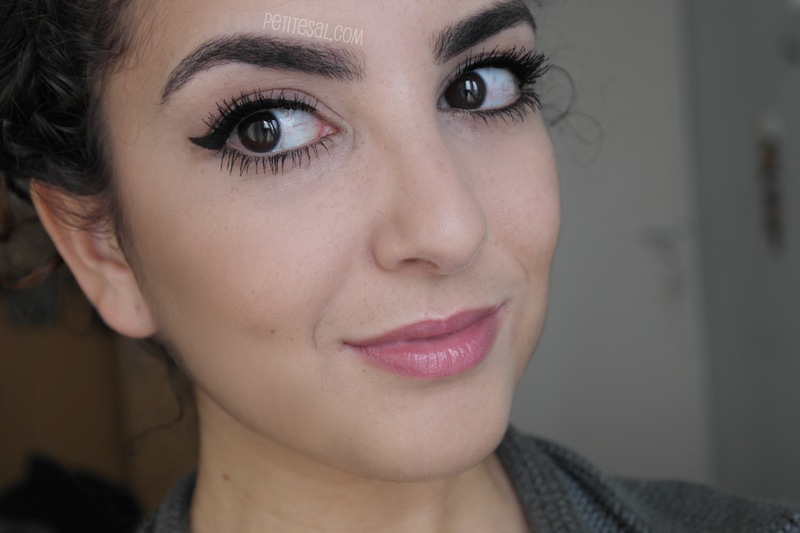 I have thick lashes, so I wondered..
A while ago lovely Caroline from Miss Carolily asked me if we could do a collaboration post. I got enthusiastic and my answer is pretty obvious since you're reading this collaboration review post. For this collaboration we each sent each other a list of our favourite products and now we're trying out the other's favourite products! Benefit They're Real! mascara. This is not the usual box, but there was a promotion when you get a mini version of the mascara and the price was still the same, soooo yay! Oh a little background information before I start. 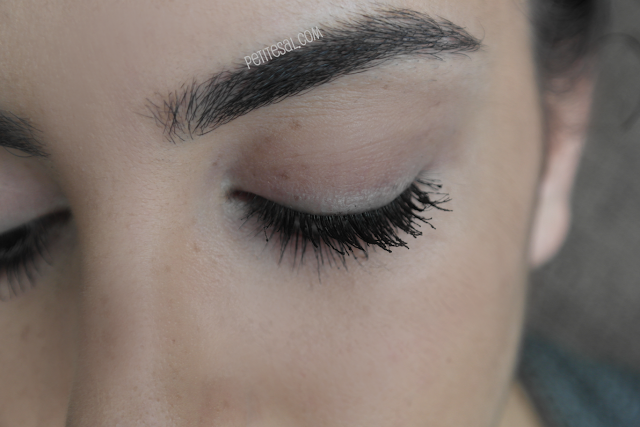 I have very thick and long lashes and I have many of them. 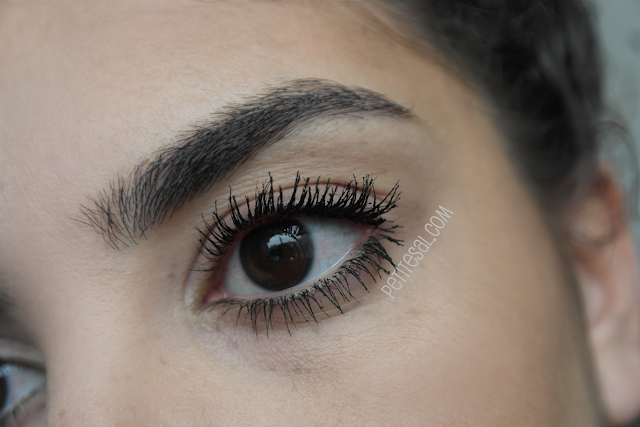 I've tried many mascaras, but usually they make my lashes heavy or make them clump. 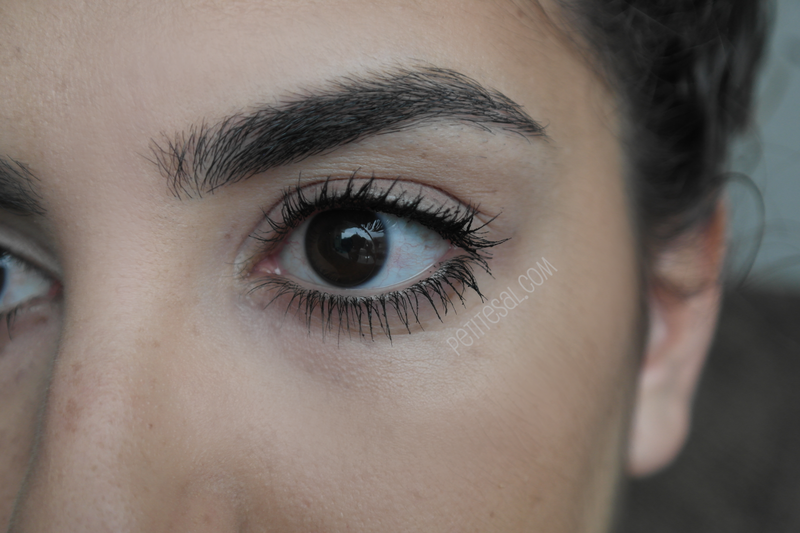 So if this mascara doesn't work for me, it can definitely work for you. I have them problem lashes, y'all. The mascara usually comes in a black box with orange and white letters, but this time there was a promotion. 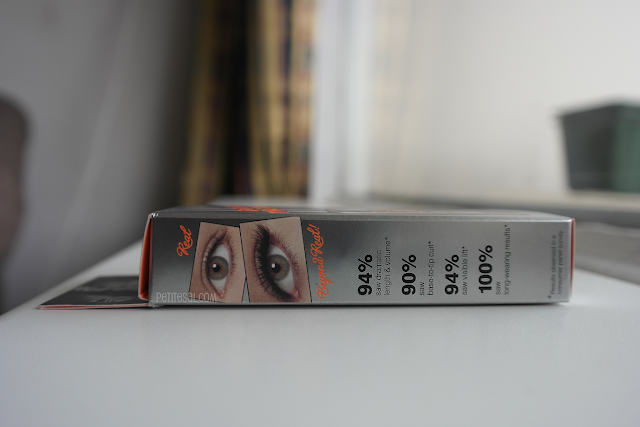 The mascara is packed in a very sleek and chique silver packaging. It looks pretty! 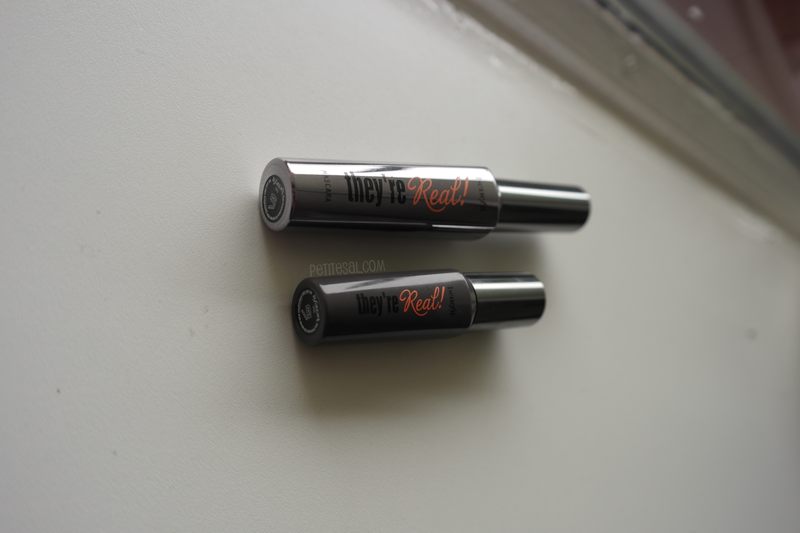 The mini version of the mascara is dark grey, with the same letters. The They're Real! mascara has a rubber brush. I used to hate these, but since I'm wearing my favourite mascara of all time (Max Factor Masterpiece HD) I got rid of the hate. What caught my attention were the bristels on the top of the brush. And I have to say, I love using this brush vertically so I can use these weird little fellas. All in all, the brush is good and it seperates the lashes fine (almost perfect). Pictures with no mascara on, but lashes already curled. 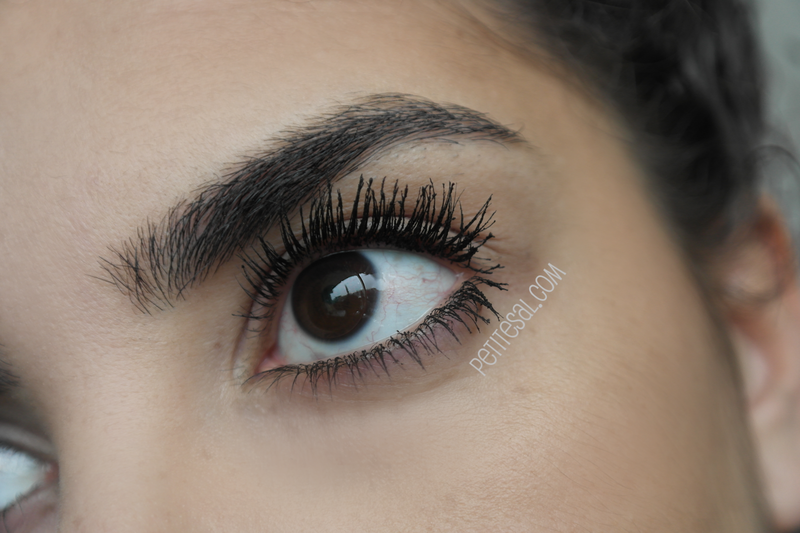 As you can see, the mascara doesn't do that much for my lashes. 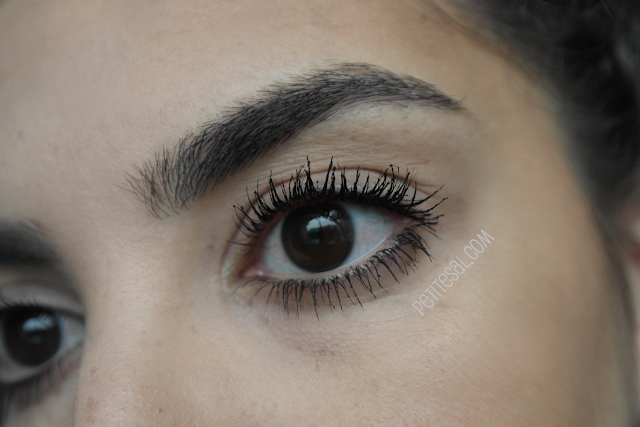 I did curl my lashes, but the mascara made my lashes heavy and they went almost straight again. Bummer. 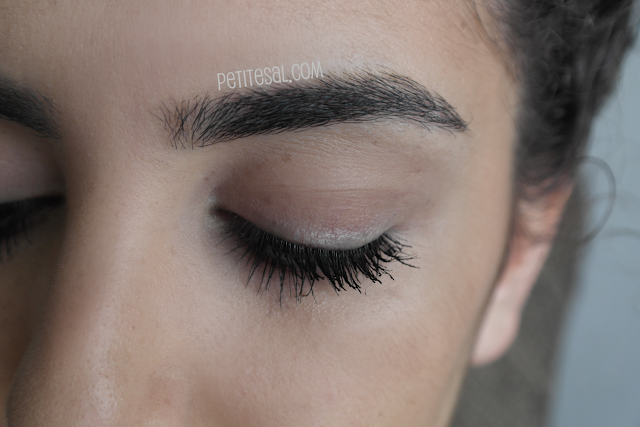 After the first layer I carefully curled my lashes again with an eyelash curler. 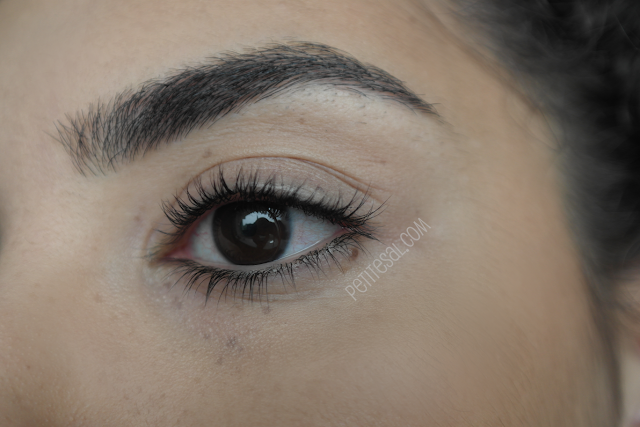 Here you can see that the mascara does more for my lashes now, but still not what I'm used to. 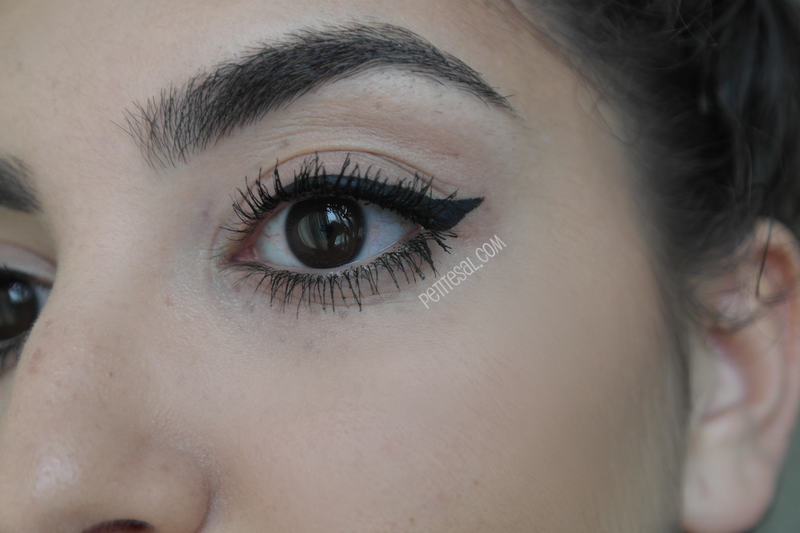 My all time favourite mascara does a lot more for my lashes. I do like how it opens up my eyes more. Okay, let's continue.. The lady at the store told me that you can layer up this mascara without it looking clumpy. Well LADY, I guess you haven't looked at my thick lashes. So, no. 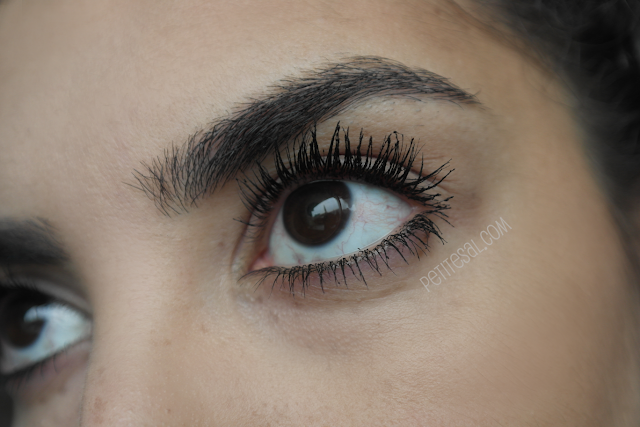 You can't layer up this mascara without it looking clumpy if you have thick lashes. 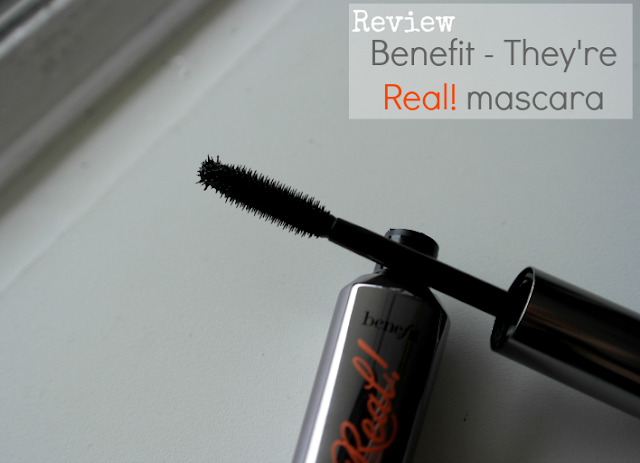 However, I have to stay honest in this review and I honestly think that if you don't have thick, heavy lashes like mine, this mascara might actually work! Plus, it did give me much much length. Just too bad my lashes got too heavy to actually see the length. 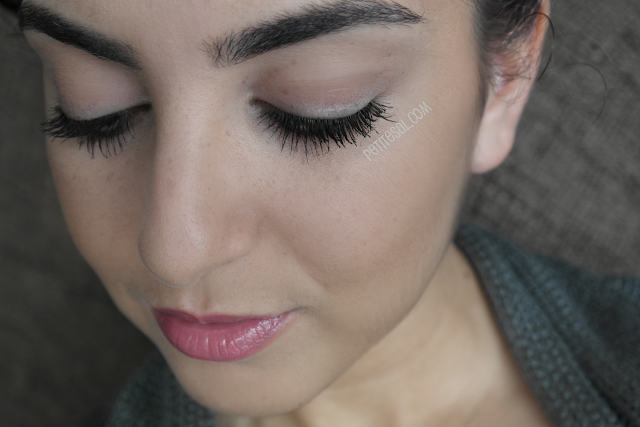 I think this mascara really opens up my eyes, which I love. Too bad it makes my lashes heavy and it clumps a little. But it does make my lashes really long. And the heavy part is a liiittle solved if I curl my lashed twice, but that's just too much work for me. 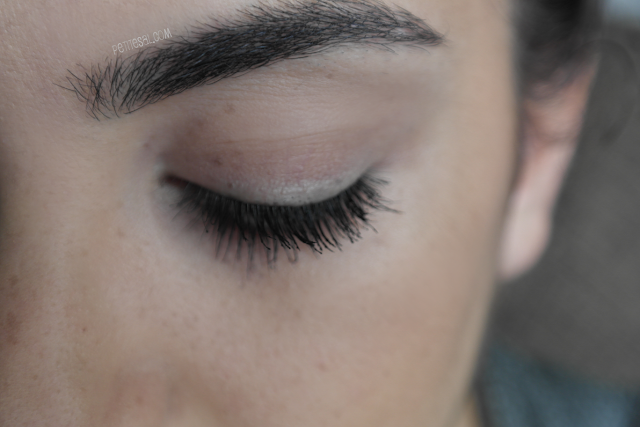 Like I said, I have problem lashes, so mostly what doesn't work for me, does work for others. And I honestly think this mascara would do so much for your lashes if you have thinner lashes than mine! Really! The Benefit They're Real! mascara retails for €24 euro at Douglas. It looks pretty decent with my eyeliner, though! Would I repurchase the They're Real! mascara? No. I'm afraid not. I do love how it opens my eyes, but I'm not paying €24 for it again. It has too many cons for me. I will use this mascara until it's empty, or I'll give it to my cousin who has thinner lashes than me. I really want to love this mascara, because it has many pros, but the biggest con is that you can't see my lashes are long, because it weights my lashes down :( Such a bummer!!! 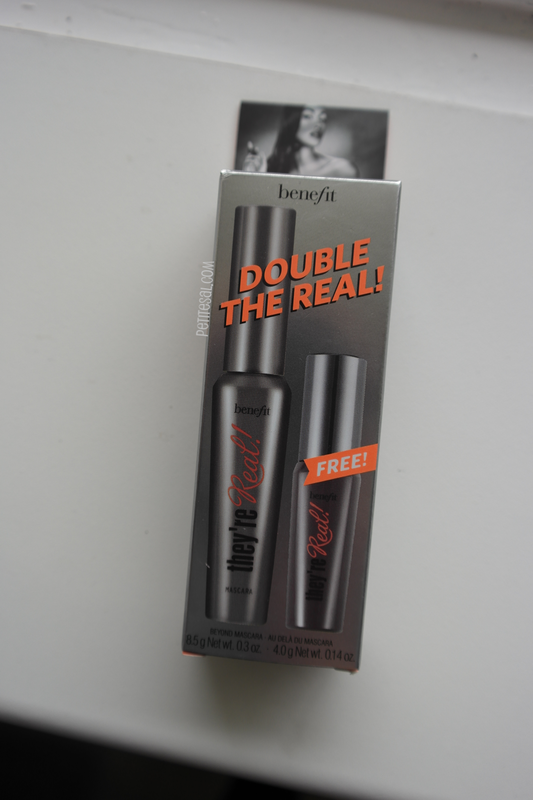 Have you tried Benefit's They're Real! mascara yet? What did you think of it? If not, what's your favourite mascara? I think your lashes look great but it is on the clumpy side. I agree that this is a serious lengthening mascara. I wish it offered more in the way of volume. Im sorry it wasn't for you babe! You look great though! I have this mascara as it was given to me as a present. But yeah, it is quite expensive isn't it, so I would probs not buy it myself. May I just say, I am VERY jealous of your eyelashes! You know what I love more than this product? Brush on Fibre Lash Extensions mascara by Cherry Blooms. I'm Asian so I have short straight lashes. They're Real mascara was alright but since I've discovered Cherry Blooms and tried other brands of fibre lashes, nothing compares to Cherry Blooms and their high quality product. Their product was also featured in the Oscars VIP Gift Bags so you know the product definitely works and is used by celebrities! 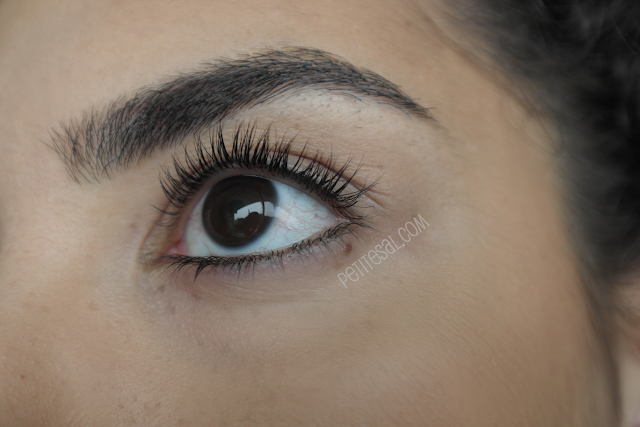 Their Fibre Lash mascara is basically eyelash extensions in two mascara tubes and will literally lengthen your lashes by up to 300%! I definitely recommend it! At least give it a try. You can always return it for a full refund if you don't like it either! Omg! You live in the Netherlands! So do I haha.. Its so nice to see a Dutch resident blogging in English. I also blog in English haha.